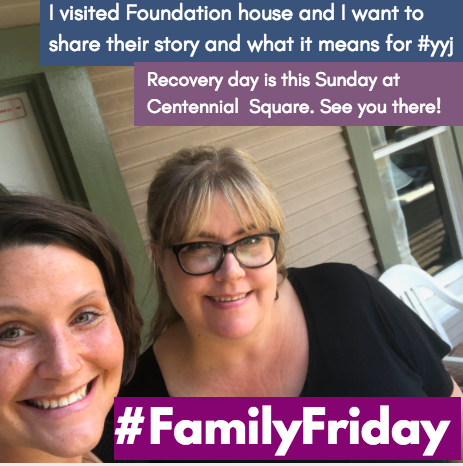 #Familyfriday is a way to tell the stories of Victoria, the challenges and the beauty of it, and the way our friends, families, and neighbours do – and do not – make it work. Today I want to introduce you to the family, friends, and residents of Foundation House. Foundation House located in Burnside, is home to eleven men, all of whom are living in recovery from addiction, and their pup Lyca. The House is staffed by the Umbrella Society and offers a caring home to men who have completed at least 30 days in a stabilization or residential treatment facility. The men share a house, cleaning, cooking and chores, and can make Foundation House their home for as long as they need. Life at the House also offers one-on-one counselling, connections with current and past residents, and the chance to gain critical life skills. Foundation House is special. There is no time limit while residents focus on recovery, the house creates opportunity for residents to work, and provides care and safety that is often not available in other recovery houses. Residents have gone through surgery and cancer treatment while living at the House and have been supported in navigating health care and pain management while in recovery. 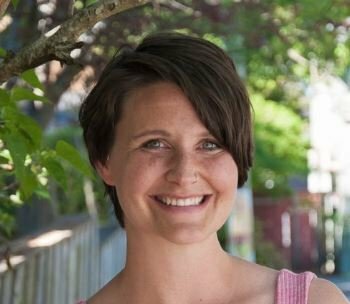 Long-term residents further contribute to the House by serving as staff overnight and having the opportunity to save extra money to find their own housing in the city. Many past residents have also gone on to work for the organization as outreach workers. There is no escaping the crisis of mental health and addiction in our city and Foundation House provides a much-needed space for those in recovery. But their waitlist? 30 people deep. While folks wait for a chance to call the House home, many stay in situations that are unsafe or triggering for their recovery. Like so many, the staff and residents at Foundation House have been experiencing the trauma and loss of the fentanyl crisis in our city. Many of those lost to addiction, were lost while they waited for detox and treatment or after leaving treatment and being unable to find a safe place to live. There is no shortage of work to be done, but high on the priority list for this organization? Emergency, low barrier shelter for folks coming out of recovery or waiting to go into treatment.